If you were a pesky beaver in Idaho in the late 1940s and 50s, you risked being “relocated” in a most adventurous manner. 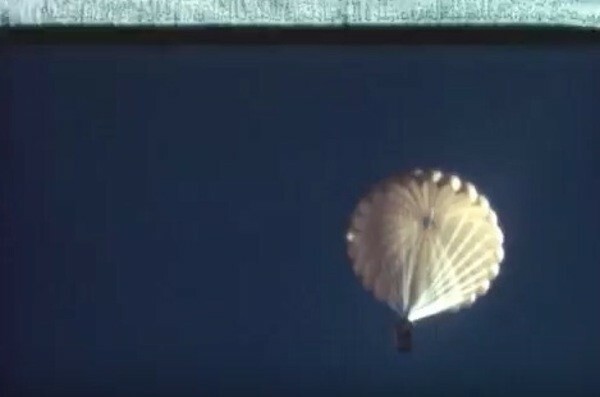 The fact that the Idaho Department of Fish and Game flew beavers in a plane and dropped them with parachutes in a boxes that would release them “on impact” as part of a pest and population management program is a known thing. But video created of such an event was, 65 years later, the stuff of “whispers,” as Boise State Public Radio put it. Despite a mention of the $700 project to film the beaver relocation program in action in a local newspaper in 1950, “the film was missing. Until now,” the radio station stated. According to Boise State Public Radio, “Fur for the Future,” as the film was called, was found by Sharon Clark, department historian. It was not only mislabeled, but it was in the wrong box. “When you’ve got film with parachuting beavers, you’ve got a story,” the department’s news release about the video posted Monday stated. In some cases, trapped beavers could be directly relocated to other areas. In more remote locations though, that’s where the airplane came into play. 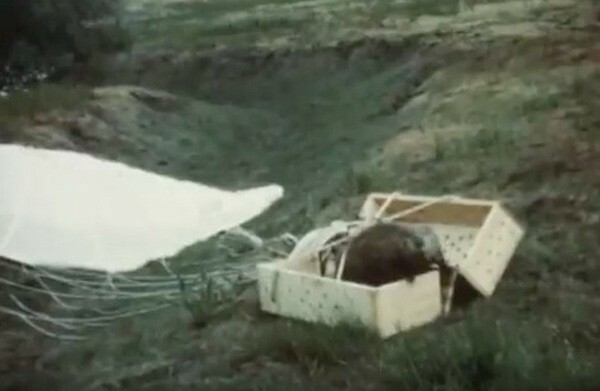 Twenty beaver ready for the flight to mountain meadows,” a narrator in the video stated as the crates of beavers were filmed being loaded into a plane. “The plane makes a careful approach, ready for the drop. The first beaver to take the dive as part of the program was Geronimo. “[B]ut it apparently worked pretty well back then to reestablish them in remote places,” he said, crediting the program.